Jenson Button believes Formula One's "dream" of a grand prix around the streets of London could yet become reality. Twenty months ago plans for a race through the streets of the capital were aired by British Grand Prix sponsors Santander. 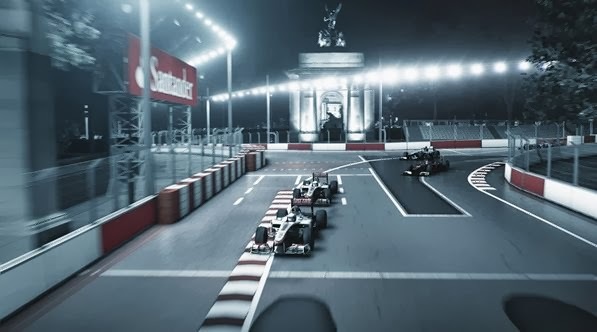 Using CGI technology, a 14-corner, 5.1km circuit was unveiled, incorporating notable landmarks such as Buckingham Palace, Big Ben and Trafalgar Square. Many believed it to be a publicity stunt, although F1 supremo Bernie Ecclestone threw his weight firmly behind the idea, adamant it was "no joke". The 83-year-old even suggested putting the money up, with estimates then it would likely cost in the region of £35m. Such an event would, however, pose enormous problems, although one of those could yet be removed at some point in the near future. The government on Thursday announced a consultation on closed-roadmotor sport events on mainland Britain which is due to run for six weeks through to 10 April. While the primary objective is to pave the way for events such as stage rallies, sprints and hill climbs to take place on a limited number of British roads, it may also prise the door open to F1 taking to the capital. There would still be considerable logistical and environmental issues to contend with, and understandable objection from many campaigners. But Button, who along with former McLaren team-mate Lewis Hamilton helped front the campaign in June 2012, is hoping something will eventually come to fruition. "When I first saw the plans for a London Grand Prix I knew they were ambitious, but fantastic," said Button. "The thought of a race through the capital's streets was only a dream when they initiated the project, but this week's changes to the law bring the idea a step closer to reality. "When you really picture what it would look like it's truly mind blowing. You could create such a unique grand prix through the streets of London – the roads are naturally very wide and long, so straightline speeds would be high, and you could create a real blend of corners. "When you combine all of that with the world-famous monuments that would feature in the backdrop you can see why it would be an awesome addition to the calendar." The new FIA-sanctioned series Formula E, with cars run via electric power, is due to take to the streets of Wembley and Stratford in June 2015 as the conclusion to the 10-race championship that commences in Beijing. The Motor Sports Association (MSA) has campaigned long and hard for Britain to follow the lead taken by many overseas countries who have staged closed-road events for years. The MSA acting chief executive Rob Jones said: "This is the news British motor sport has been waiting for. It represents a once-in-a-lifetime opportunity to change the landscape of our sport, allowing local communities across the country to host motor sport events and enjoy all the excitement and economic benefit they bring. "However, to make that vision a reality we need everybody involved in our sport, from competitors and volunteers to clubs and organisers, to respond positively to the government consultation before the 10 April deadline. "The government's enthusiasm for closed-road motor sport, and its launch of a public consultation, is the culmination of years of hard work behind the scenes. "We now have to demonstrate the support that exists for closed-road motor sport around the country." Cristiano Ronaldo is available for the first leg of Real Madrid's Champions League last-16 tie against Schalke following a three-match domestic ban. The Portuguese, 29, was shown a red card in the 1-1 draw with Athletic Bilbao. on 2 February. In Ronaldo's absence, world-record signing Gareth Bale has started Real's last three league games, scoring twice. "We'll need a little miracle," said Schalke coach Jens Keller of his side's chances against the Spanish giants. Schalke lie fourth in the Bundesliga, 21 points off leaders Bayern Munich, and drew 0-0 at home to Mainz on Friday. Keller can take hope from nine-time European Cup winners Real's miserable record on German soil. Real's 4-1 defeat in the first leg of last year's Champions League semi-final against Borussia Dortmund was their 18th defeat in 25 visits to German opposition. A 3-2 win away to Bayer Leverkusen in the 2000-01 tournament is their only win away to a German club. Real Madrid goalkeeper Iker Casillas says he and his team-mates must be prepared for the different challenge that Schalke will set compared to their domestic Spanish opposition. "Being a German team, Schalke has great physical presence," he said. "It is mounting a comeback in the Bundesliga. It stuttered a little early on but it is turning things around and is now back in the top four. "But we are giving away few chances on goal and playing solid in attack, and certain players are really on form." One of those in form is certainly Ronaldo who has scored 31 goals in 26 games for Real this season, including nine in the group stages. He has also scored in the home and away legs of Real's Champions League last-16 ties in the last two years. 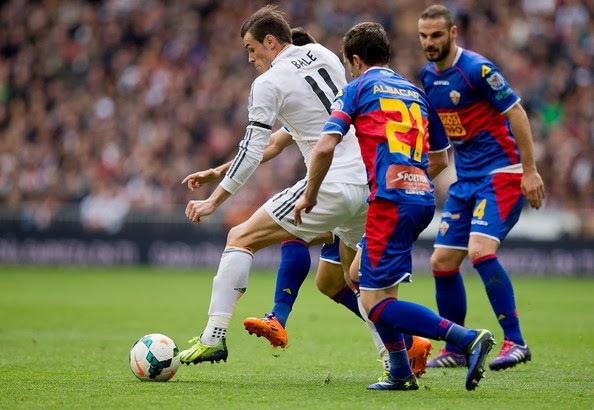 Bale, signed from Tottenham for £85m in September, has been less prolific, but manager Carlo Ancelotti believes the Welshman's long-range strike in the 3-0 win over Elche on Saturday has given him new self-belief. 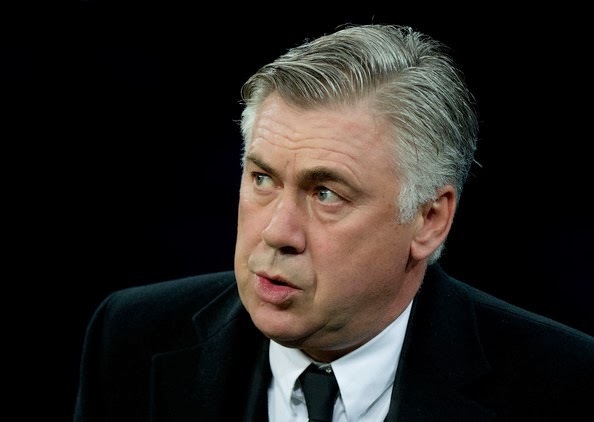 "He had no confidence before that incredible goal and after it, he played an entirely different game,'' said Ancelotti. "He played well enough before the goal but fantastic afterward." 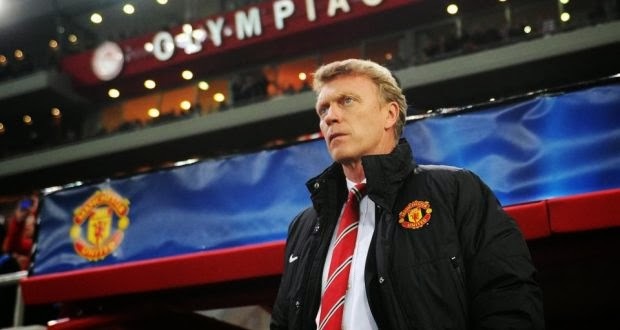 Manchester United manager David Moyes says he is to blame for his side's 2-0 loss to Champions League opponents Olympiakos on Tuesday. United were favourites to beat the Greek side over two legs but they now face the prospect of missing out on the quarter-finals. "I take responsibility," said Moyes. "It's my team and I always front up." The Scot added: "It was a really poor performance. We never really got going and we didn't deserve anything." United registered their first and only shot on target of the match in the 89th minute as they slumped to a surprise defeat. Moyes, who left teenager Adnan Januzaj out of the squad, admitted they had not done enough to secure a potentially valuable away goal. "I am just surprised," he added. "I didn't see that level of performance coming, I just didn't see it. "It's the worst we've played in Europe. We didn't offer enough on the night to create a goal. "There is undoubtedly talent at Manchester United but we didn't show it." Striker Robin van Persie, who failed to take United's best chance of the night, also spoke of his frustration. He told Dutch broadcaster NOS he found it difficult to receive the ball: "Our fellow players are sometimes occupying the spaces I want to play in. When I see that it makes it difficult for me to come to those spaces as well. "That forces me to adjust my runs, based on the position of my fellow players. And unfortunately, they're often playing in my zones. I think that's a shame." Asked about his manager being under pressure, Van Persie added: "We all have to work at it. In some games we do play well but in others we do not. We have not had luck at times. I am not going to point the finger at anybody. "We need to try to turn it around and we need to take our chances. With all due respect to our opponents, we should be able to win by three goals." The last time United overturned a two-goal aggregate deficit in Europe was 30 years ago, when captain Bryan Robson led them to a 3-0 win over Barcelona at Old Trafford in the last eight of the now-defunct Cup Winners' Cup. The second leg is on Wednesday, 19 March. "We are determined to put it right and we have the opportunity to do that," said Moyes. "The players are hurt. Old Trafford has seen some great nights in the past and we hope to see another one." Olympiakos manager Michel insists the tie is very much alive as his side chase their first appearance in the last eight since 1999. "I'm obviously very happy with this match, but most of all I'm proud of my players," he said. "But if somebody says that 2-0 is enough to qualify, he's probably wrong. We have a 2-0 lead against Manchester United, which means nothing." Real Madrid stormed three points clear at the top of La Liga after they beat Elche 3-0 on Saturday and Barcelona slumped to a 3-1 defeat at Real Sociedad. Asier Illarramendi gave Real the lead before the break but it took them until the 72nd minute to score again with a rocket of a long-range drive by Gareth Bale. Isco added a third goal with nine minutes left. Barca were cut open again and again on the counter-attack by a Sociedad side intent on avenging their recent King’s Cup exit at the hands of the Catalans. Sociedad went ahead through an Alex Song own goal before Lionel Messi equalised.Antoine Griezmann and David Zurutuza then struck after the break to send Barca to defeat. It could have been worse for the champions as Carlos Vela hit the woodwork late on. Barca, who also had coach Gerardo Martino dismissed at half-time for complaining to the referee, have 60 points from 25 matches. Real lead the way on 63 points and Atletico Madrid can draw level with them by winning at Osasuna on Sunday. Illarramendi, replacing suspended midfielder Luka Modric, broke the deadlock for Real with a shot that clipped Manu del Moral and wrong-footed goalkeeper Manu Herreraafter 34 minutes. Real were without Cristiano Ronaldo, serving the final game of his three-match ban, and without the Portugal forward they lacked spark in front of goal against an Elche side that defended solidly. Karim Benzema forced Herrera into an early save and the France striker, along with Angel Di Maria, looked dangerous for Real but they needed a slice of fortune with Illarramendi’s strike. Wales winger Bale, having a quiet game on the right, exploded into life with a powerful shot that went in off the crossbar to give Real a 2-0 lead. With 13th-placed Elche’s resistance broken, substitute Isco slotted home the third goal. “Bale didn't have confidence before scoring his great goal and after that he was totally different,” Real coach Carlo Ancelotti told a news conference. “I am satisfied because we didn't concede. Our play could have been better but at this stage of the season we need to be solid and we were. “In tight games Modric gives us more options but Illarramendi did very well,” the Italian added. 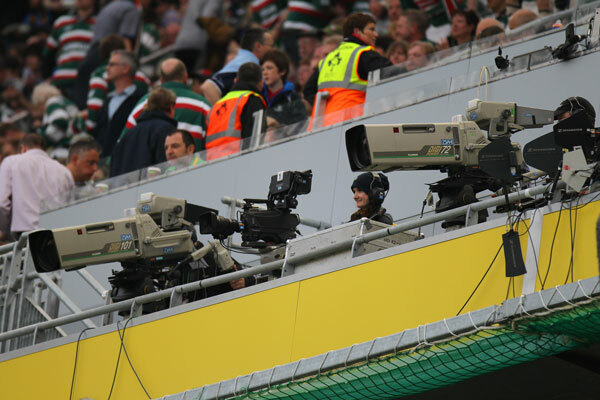 Since BT Vision announced it had won the rights to broadcast English Premiership rugby from this season, it also included coverage of English club matches in Europe from 2014. The announcement came with a sharp rebuke from the European Rugby Cup (ERC) headquarters in Dublin, with a claim it had already allocated exclusive coverage of European matches to satellite broadcasters BSkyB for the next four years. ERC claimed that Premier Rugby's European deal with BT Vision is "in breach both of International Rugby Board regulations and of a mandate from the ERC Board itself". "It was unanimously agreed at an ERC Board meeting on 6 June, 2012 that ERC would conclude a new four-year agreement with Sky Sports. Premiership Rugby was party to that decision." Over recent years there has been little love lost between both parties and it appears that BT Vision have leveraged those differences as they expand their sports offering and expand their commercial clout in the Pay-TV market. Only a few months ago BT gazumped their major competitor for UK live Premier League soccer games, BSkyB, by paying 70% above the odds for 38 live games – all the 18 first-choice picks. All of which more than shocked BSkyB at the time, who just managed to protect their key soccer offerings - Super Sundays and Monday evening football. However the knowledge that BT had originally bid for all the rights - and were ready to spend more than £2bn if necessary - represented a very clear statement of intent to BSkyB - and a new reality. A fact that was not lost on Rupert Murdochs' organisation. Or so we thought, until the Premiership rugby deal was announced this week. Clearly BT are now a serious competitive threat to BSkyB with both now chasing the valuable "Triple play" strategy [consumers taking pay-TV, telephony and broadband from the same supplier] where Sky has so far been cleaning up. Indeed currently one third of Sky's 10 million subscribers take triple play. Although BT Vision have been making some inroads their fast broadband service too often loses out to Sky’s attractive premium content and with six years gone - and a reported £800m spent since launch - the broadband service has only 700,000 subscribers. Nothing close to their original target of 3 million subscribers by the end of 2010. This pay-TV failure had started to threaten the longer term prospects of BT's core fixed line broadband/telephony business. Hence this uber-acquisitiveness in 2012 into the once dominated BSkyB markets. For Premier Rugby's the new agreement with BT, divided into a deal to show Premiership rugby from next season and European club rugby from the start of the 2014-15 campaign, is worth up to £152m. In contrats ERC argue it has also agreed a deal with BSkyB for exclusive coverage of European club rugby from the start of the 2014-15 season, with Premier Rugby arguing that ERC's right to negotiate broadcast deals on behalf of unions is only valid until 2014. The added confusion beng that European Rugby Cup organises the Heineken Cup and the European Challenge Cup and its members are part of the six nations rugby unions. "We also note ERC's reference to its board meeting on 6 June, 2012. No specific broadcast deal was presented or voted on at this or any subsequent ERC board meeting. In any case, any such deal could not have included matches involving Premiership Rugby clubs. "ERC's suggestion that Premiership Rugby may be in breach of IRB regulations is wrong." Off the pitch there has been long-running tension between the ERC and English and French clubs, who separately announced earlier this year that they will pull out of he ERC once the current agreement governing participation runs out at the end of the 2013-14 season. Both the French and English clubs want changes to the way European rugby union's blue riband club tournament is structured, seeking a new system that would reduce the number of RaboDirect Pro12 teams that automatically qualify for the Heineken Cup. Plus removing the current guarantee that leads to Scotland, Ireland, Wales and Italy all being ensured representation. As there is no relegation from the Pro12 the English and French clubs have always argued this gives Irish teams, in particular, an advantage, because they can rest players for league matches keeping them fresh for Europe - without facing any real consequences. The dominance of Munster and Leinster over the past five years in the Heineken Cup only serves to add to that argument of imbalance. For the rugby fans in England this change will represent an added headache as viewers will need to have both pay-TV services to follow the Heineken Cup properly - it seems. It comes into a market that is already complicated at 6 Nations level for Irish viewers for instance, as England games at Twickenham are only available on Sky Sports. Yet all other games played outside the RFU HQ are available on terrestrial TV channels for Irish viewers. Or the struggle to ensure the Rabo Pro12 matches are covered live by non pay-tv channels. For the Irish Rugby Football Union [IRFU] this also could be a major problem - as was identified in their July AGM - and that future uncertainty about the Heineken Cup was a major risk to their finances. The Honorary Treasurer Tom Grace identified that the IRFU and the provinces have benefited enormously from the competition over the last 12 years, doing well from the sale of season tickets, gate receipts and prize money. “Any proposed change to the structure of the competition will require the collective attention of the union and the provinces. I believe it is a big issue that needs to be handled carefully.” said Grace. Provincial income improved by €1.8 million last season mainly due to the progress of Leinster and Ulster to the Heineken Cup final, which was won by the former. If the ERC income was to be reduced in the near future then then it would add unwanted financial pressure on the provinces. It could have significant impact on the viability of Connacht for example and also force more provincial players to seek contracts in England. Or indeed France for the top players. In Ireland, none of the provinces cover costs from year to year with player salaries, staff salaries, travel costs, rental of facilities, and other overruns paid for by IRFU money - all made through the international game. For players it could mean preferring England where non-international players in the Premiership can earn on average £125,00-£150,000 a year, with an international making double that with match fees and bonuses. In France the best players make up to €750,000 a year at clubs such as Toulouse, with an annual budget of over €30 million. In contrast Munster’s annual budget is only about €5m. While several clubs’ and rugby stalwarts have proffered negative comments about the new deal, the Premiership clubs remain united behind the rapidly escalating row with ERC. In the meantime Saracens chairman Nigel Wray called for the structure of the Heineken Cup to reflect the financial muscle of the French and English clubs. “The Heineken Cup was set up by the Unions and fair play that they created it,” Wray said. 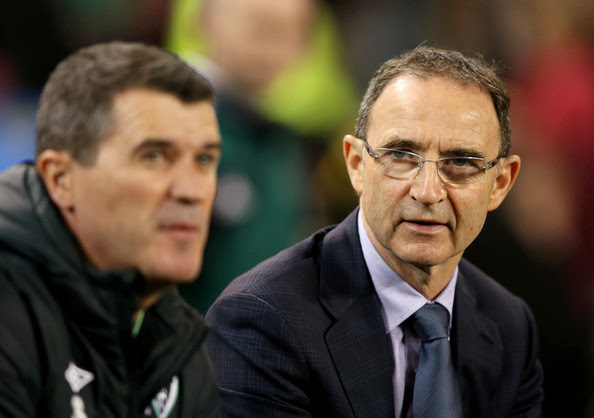 “The English and French clubs contribute by miles the biggest part of the revenue and we don’t get our just reward. That must be put right. It is also thought that an Anglo-French alliance would be unified in the negotiations and there is agreement between the two as to an urgent need for a revamp. “It is inappropriate to give news about TV rights in Europe,” said Patrick Wolff, vice-president of the Ligue Nationale de Rugby and one of two French representatives at the ERC board. “I was disappointed. It is not appropriate that this is to be put on the agenda. We do not know for sure if ERC or the clubs or another organisation owns these rights. So far though there is no mention of a signed irrevocable agreement between BT Vision and Premiership rugby, and so the timing has to be seen as a negotiating tactic given the scheduled ERC board meeting in Dublin next Tuesday. It should proved more than interesting given that those who sit on the board are not known to have shirked many tackles in their playing days. Worryingly, if there is to be a loser in this contrived debate, assuming it is all postulating and the Heineken Cup remains in place, it will be Irish rugby and the IRFU's budget. Back in 2010 the IRFU estimated the proposed free-to-air initiative by Minister Ryan for the Heineken Cup would result in a loss of income of €10-€12 million annually (or 15-18% of annual income). The finances have deteriorated further since that study and so any more depletion on projected income would have an immediate effect on the game - leaving the IRFU severely challenged in these already chastened times. For ERC Chief Executive, Derek McGrath, it will be a meeting in which he will need the utmost patience as this issue will run through a number of phases before being resolved. 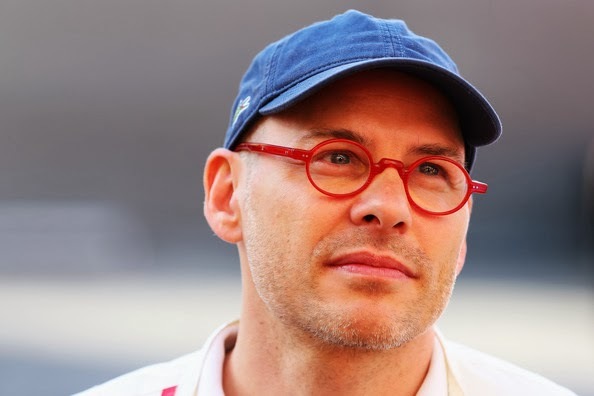 Formula 1 has become "artificial" and is in danger of losing the respect of its fans, according to former world champion Jacques Villeneuve. The 1997 champion criticised the DRS system and the recent decision to award double points in the final race. "I don't get modern Formula 1," the 42-year-old Canadian told BBC Sport. He accused those running the sport of creating "a fake show" and also claimed drivers "lack personality" and should speak out against the changes. Villeneuve, one of only three drivers to have won the Formula 1 world title, the Indycar Championship and the Indy 500, believes the changes made to F1 since he left the sport in 2006 have not improved it. A major change for the 2014 season is the decision to award double points at the final race in an attempt to ensure the fights for the world championship lasts as long as possible. There has even been talk of extending double points to the last three races of the season. As for DRS - the drag reduction system introduced in 2011 to increase overtaking and make F1 more exciting for spectators - former Williams, BAR and Renault driver Villeneuve was just as critical. "Once you start going down that route you cannot stop, you have to make more and more of it," he said. He added: "What's the next thing that will come? It becomes more and more artificial and, instead of having a positive effect, you end up making it where people don't respect it any more." Villeneuve, who has announced he will drive for Scottish team Albatec Racing in World Rallycross next season, also believes too many of the current drivers are "highly uninteresting". "It's a habit now to not have a personality in Formula 1," he told BBC Radio 5 live Sport. "You can imagine a driver that gets a lot of sponsor money being told 'don't say that please' and he will toe the line. So they are not fast, paid to race and highly uninteresting on top of it. It is tough for F1 right now." The Seattle Seahawks made Super Bowl Sunday the best day of all with one of the greatest performances in an NFL title game -- sparked by a defense that ranks among the best ever. The Seahawks won their first Super Bowl crown by punishing Peyton Manning and the Denver Broncos 43-8. That masterful defense, the NFL's stingiest, never let the five-time MVP get going, disarming the highest-scoring offense in league history. "The only way we could say we were the best defense was to take down the best offense," linebacker Bobby Wagner said. 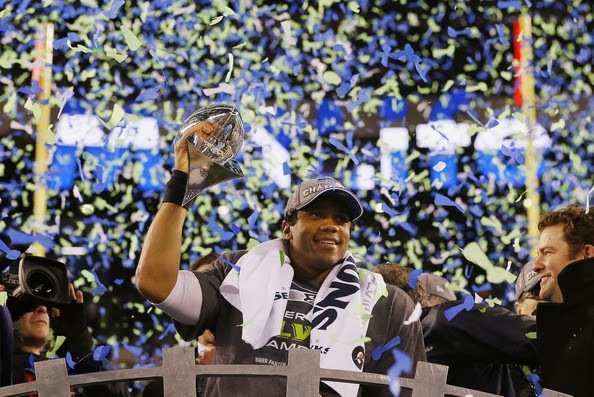 "We've been relentless all season," quarterback Russell Wilson said. "Having that mentality of having a championship day every day. At the end of the day, you want to play your best football and that is what we did today." Punctuating Seattle's dominance was a 69-yard interception return touchdown by linebacker Malcolm Smith to make it 22-0, and Percy Harvin's sensational 87-yard kickoff return to open the second half. "I always imagined myself making great plays," said Smith, the game's MVP. "Never thought about being the MVP." When the Seahawks, up by 29 points, forced a Denver punt early in the third quarter, the 12th Man -- and there were legions of them in MetLife Stadium -- began chanting "L-O-B, L-O-B." As in Legion of Boom, the Seahawks' hard-hitting secondary, part of a young team with an average age of 26 years, 138 days. "This is an amazing team. Took us four years to get to this point, but they never have taken a step sideways," coach Pete Carroll said. "These guys would not take anything but winning this ballgame." The loss by the Broncos again raised questions about Manning's ability to win the biggest games. He is 11-12 in the postseason, 1-2 in Super Bowls. After the game, he brushed off questions about his legacy. "Certainly to finish this way is very disappointing. It's not an easy pill to swallow," said Manning, who threw for a record 55 touchdowns in 2013, two years after missing an entire season because of neck surgeries. "I don't know if you ever really get over it." He never looked comfortable against a defense some will begin comparing to the 1985 Bears and 2000 Ravens -- other NFL champions who had runaway Super Bowl victories. All-Pro cornerback Richard Shermanleft with a high ankle sprain in the fourth quarter. He celebrated on crutches. "I hope we etched our names in the history books," Sherman said. Wilson also hit Doug Baldwin for a 10-yard score in the final period in what had become one of the most lopsided Super Bowls. For the fifth time in six meetings between the NFL's No. 1 offense and defense, the D dominated. "It's all about making history," All-Pro safety Earl Thomas said. "This was a dominant performance from top to bottom." Denver fell to 2-5 in Super Bowls, and by the end many of Manning's passes resembled the "ducks" Sherman said the All-Pro quarterback sometimes threw. The victory was particularly sweet for Carroll, fired in 1994 by the Jets. He led the Patriots for three seasons and again was canned. After a short stint out of coaching, he took over at the University of Southern California and won two national titles. No Super Bowl had been played outdoors in a cold-weather city -- not that the Big Apple was anything close to frozen Sunday, when it was 49 degrees at kickoff. Things went sour for Manning and the Broncos from the very first scrimmage play, and by halftime they were down 22-0 -- their biggest deficit of the season and the only time they didn't score in a half. A mere 12 seconds in, Seattle led 2-0 with the quickest score in Super Bowl history, beating Chicago's Devin Hester's kickoff return to open the 2007 game -- against Manning's Colts. Steven Hauschka made 31- and 33-yard field goals for an 8-0 lead. Then the Seahawks began scoring touchdowns. Manning's third-down pass to Julius Thomas sailed way too high and directly to safety Kam Chancellor, giving the Seahawks the ball at Denver's 37. A third-down pass interference call on Tony Carter brought Seattle to the 1, and Marshawn Lynch scored to make it 15-0. Cliff Avril got to Manning's arm as he was throwing, the ball fluttered directly to Smith, who took off down the left sideline for a 69-yard interception TD. Manning trudged to the sideline, a look of disgust on his face, Denver's reputation as an unstoppable force erased.